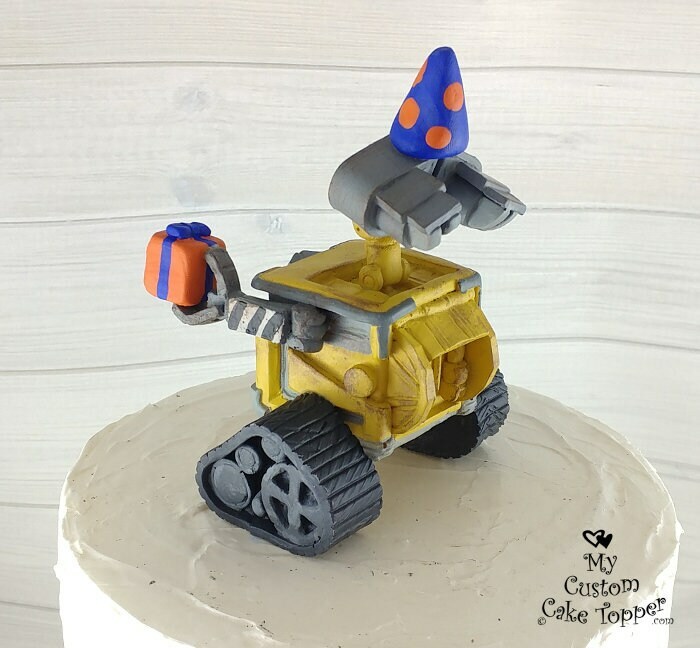 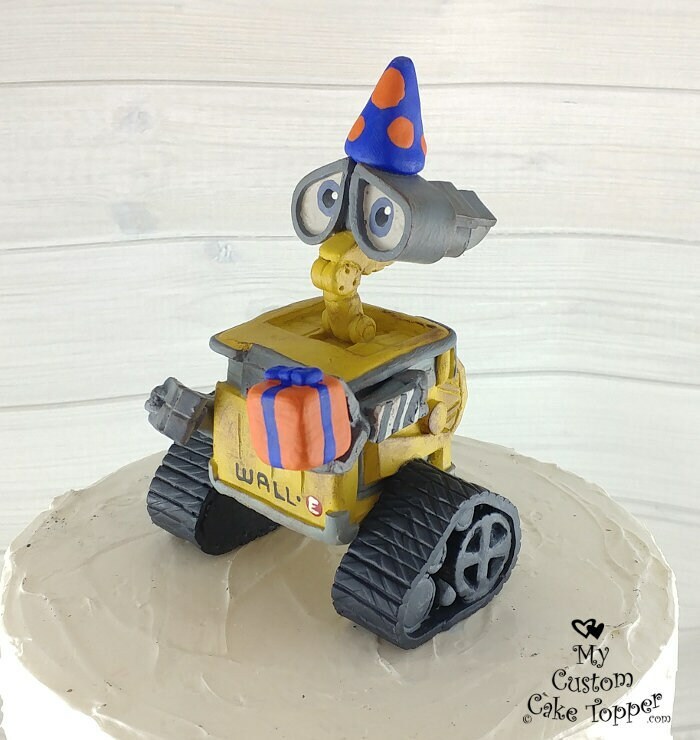 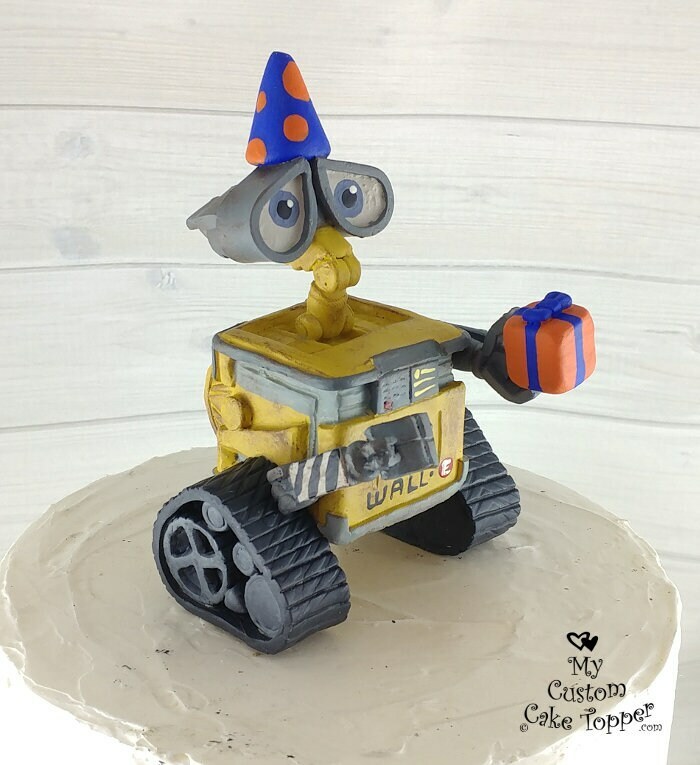 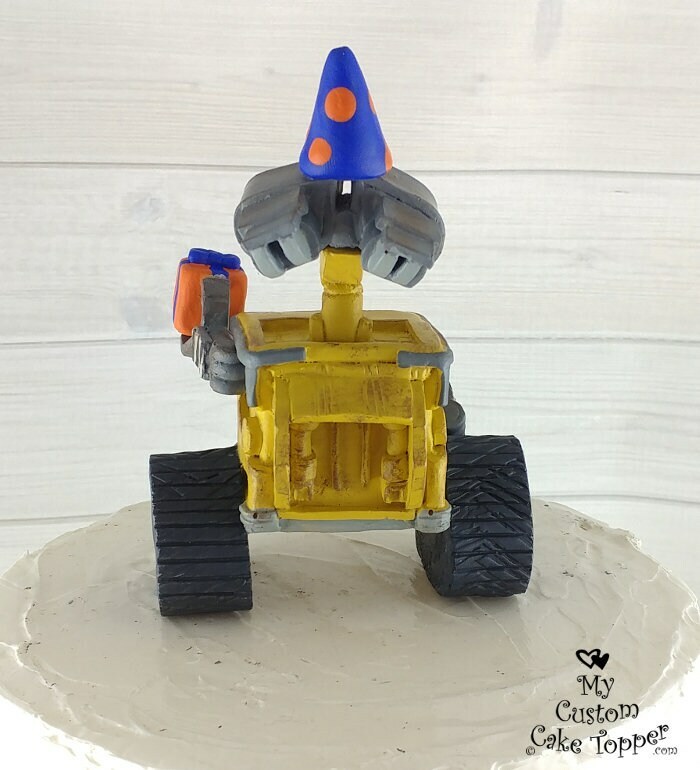 Wall-E Birthday Cake Topper. 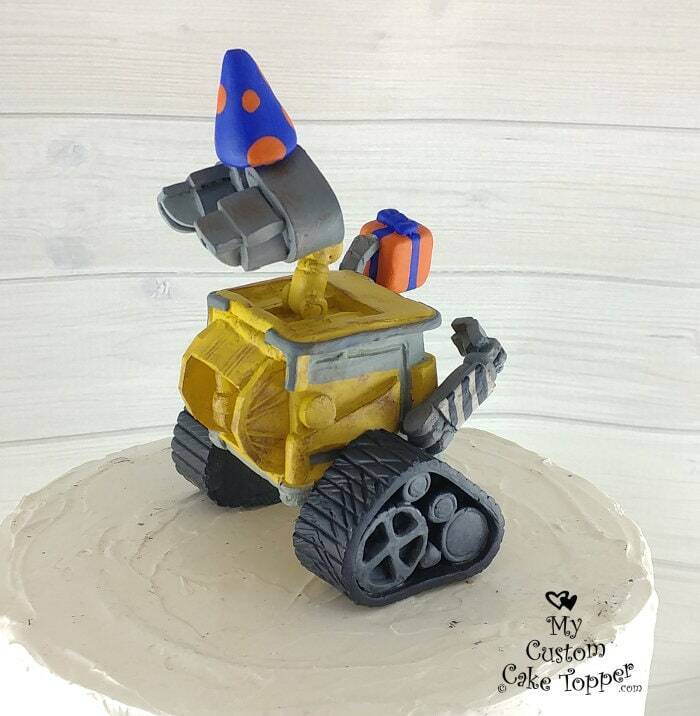 Perfect for the biggest Wall-E fans, straight out of the Disney movie! 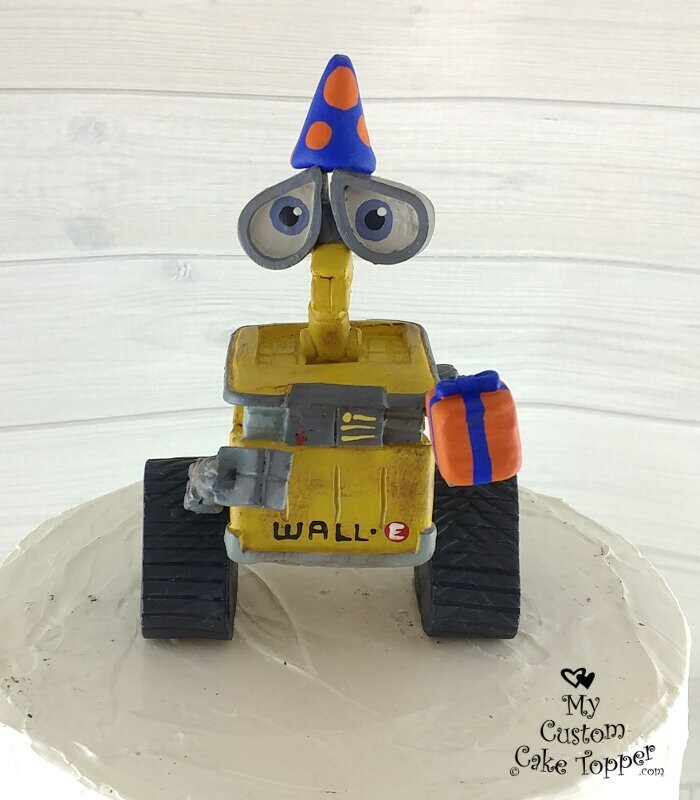 Wall-E is 4.5" tall (with the party hat, 3.5" without the hat), 3" wide, 3" deep.